I am a grazer by nature. I don’t often have big portions at traditional mealtimes but I eat constantly throughout the day. Being wheat intolerant, I find (although this may be entirely in my head) that eating little and often helps with symptoms like stomach pain. Plus I like food a lot so eating all the time isn’t exactly an inconvenience. However, I did find that I wasn’t always snacking on the healthiest of foods – chocolate was and is one of my favourite things so that featured a lot – and it was getting quite expensive to fund my never-ending nibbling. Primarily, it was something new and fun and different each week to look forward to, which he knew I would enjoy. It satisfied my grazing habit. It was healthy in some fashion – either low in calories, or high in fibre or one of my 5 a day. 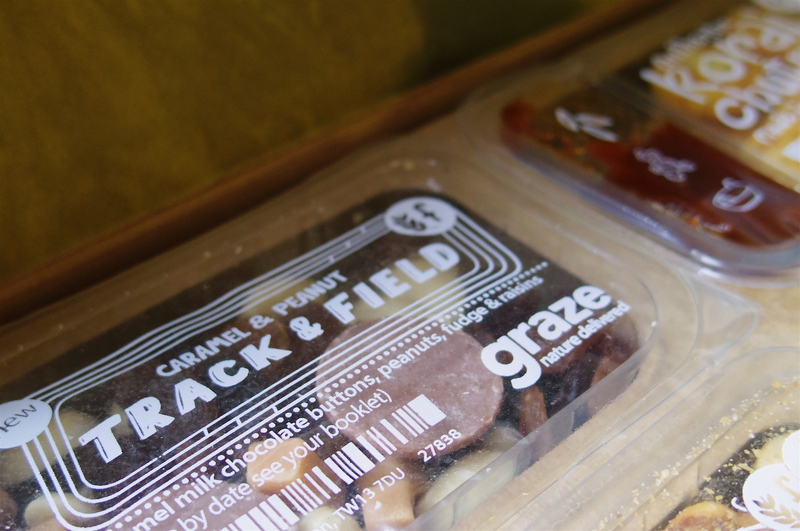 Every graze punnet has some kind of health benefit. It helped with our budgeting as the same amount was spent each week. As soon as I signed up, I ‘binned’ everything that had wheat in. I then went through and binned items I knew I wouldn’t like – I’m not a fan of coconut flakes for example so I got rid of the options that had those in. Each week I rate the choices I’ve been sent as ‘like’ or ‘love’, or I ‘bin’ them so that I don’t get sent them again. It’s super easy. I’m so pleased my hubby encouraged me to try it out as I now have such fun opening my box every week to see what I’ve been sent, knowing that it’s all wheat-free and that I won’t be sent anything I don’t like. And the best part? They have a wheat-free black forest slice – my favourite! Disclaimer: I have not been paid to write this post.